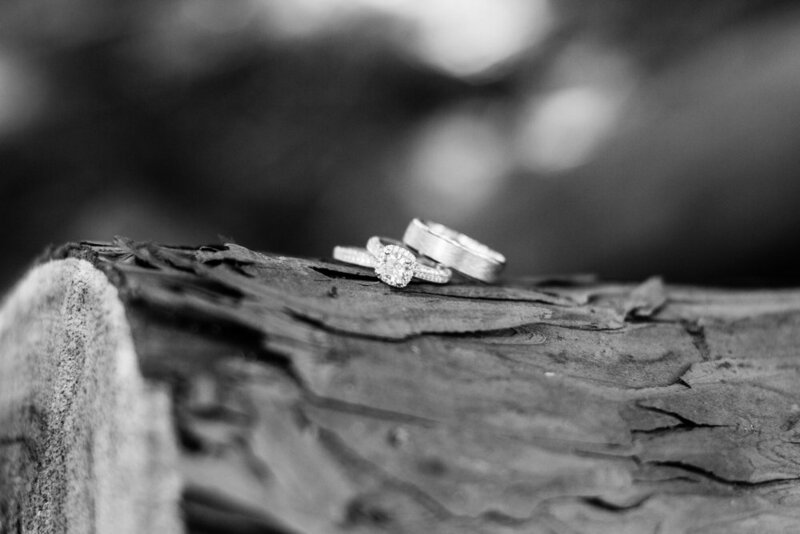 From the moment I met Erika & Corey, I was extremely excited about being a part of their wedding day. They had already dreamed up a beautiful vision and were well on their way to seeing it through! 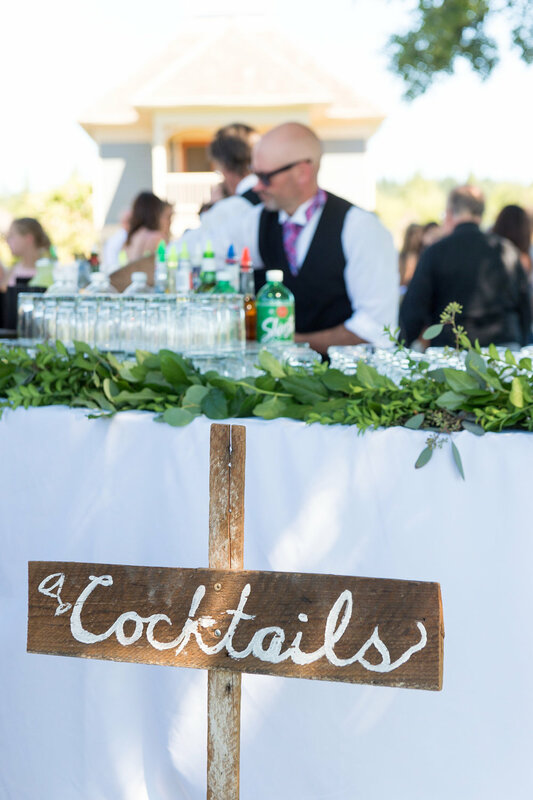 But, hosting 250 guests out in the beautiful West Linn countryside was no small feat. 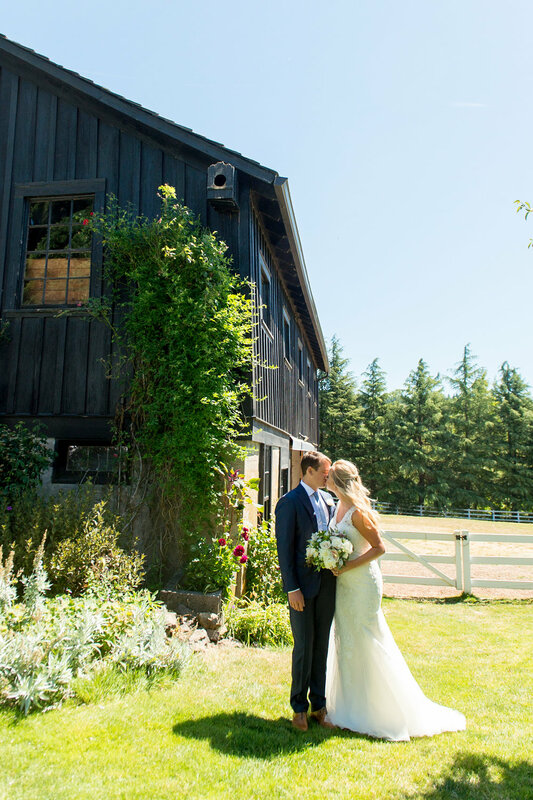 Barn Kestrel was the perfect place to celebrate the beginning of a new journey together. 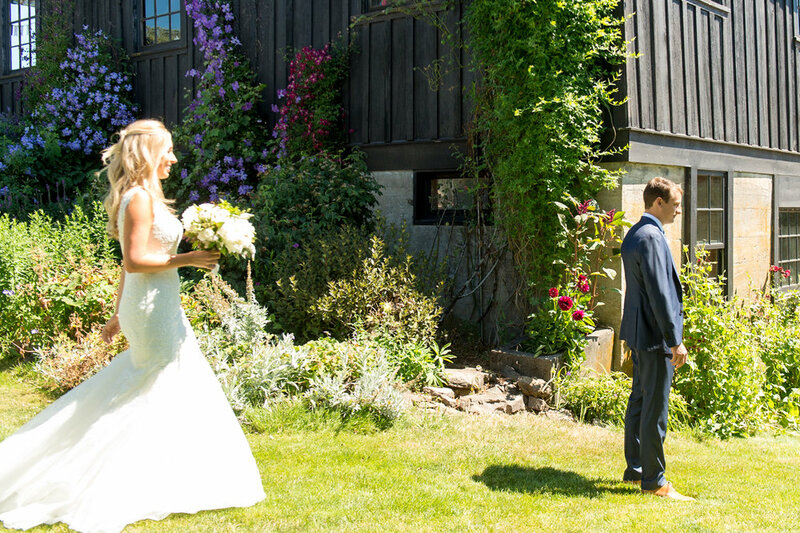 Think of a city-meets-country wedding, and you would land on July 8th, 2017 among some of PDX's finest food carts, horses, finely dressed guests, and out-houses. Nothing short of luxury outdoor restrooms of course! Toasts were one of the most memorable tokens of the evening. 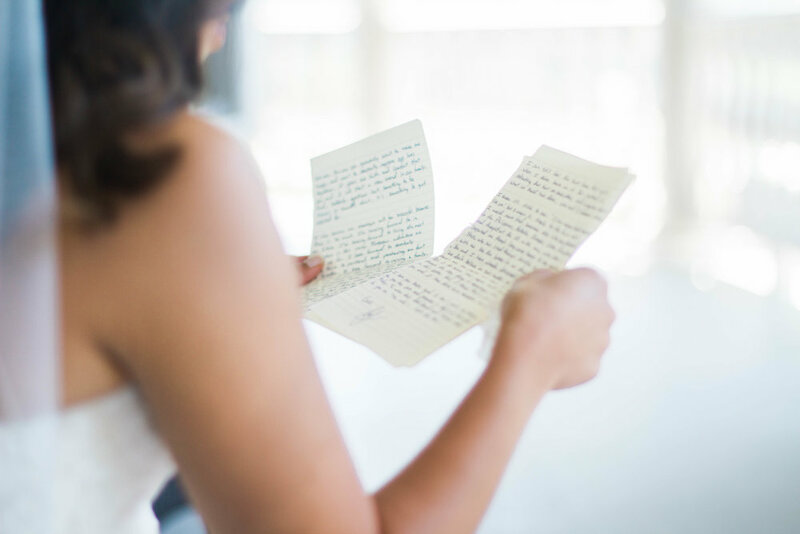 The mother-of-the-bride speech had guests laughing and tearing up over the course of a few moments. The heartfelt words spoken by Erika & Corey's loved ones only spoke truth to the character and love of this amazing couple. You couldn't help but feel the warmth and excitement for their next two year adventure across the globe! Following their nuptials Erika and Corey are headed off to Amsterdam where I'm sure these two will be well on their way to conquering the world. The night ended on a high-note with everyone dancing the night away in the Barn. It was the second time that Erika stole the show, when she lit up the dance floor. Their love for adventure couldn't keep them from heading back to the city to continue the fun. Wishing this fun couple a lifetime of fun like their wedding night, which I'm sure never really ended. 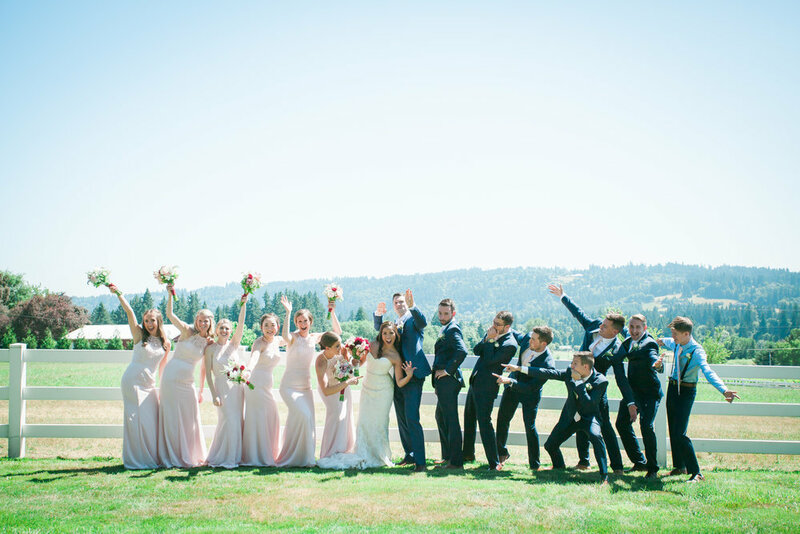 I still get a grin on my face when I think of Sam & Spencer’s gorgeous wedding I had the pleasure to be a part of last July. 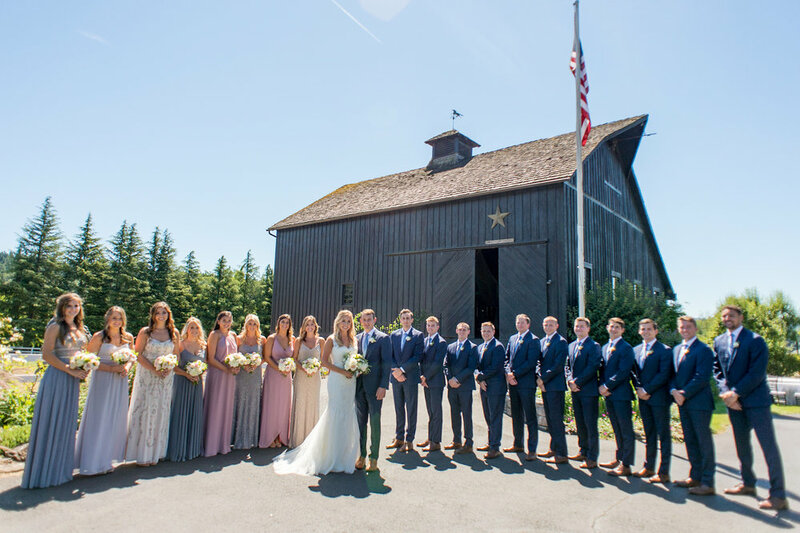 The setting was the 100 year old Barn Kestrel in West Linn, Oregon. It was a beautiful Oregon day, which perfectly set the tone for this flawless event. 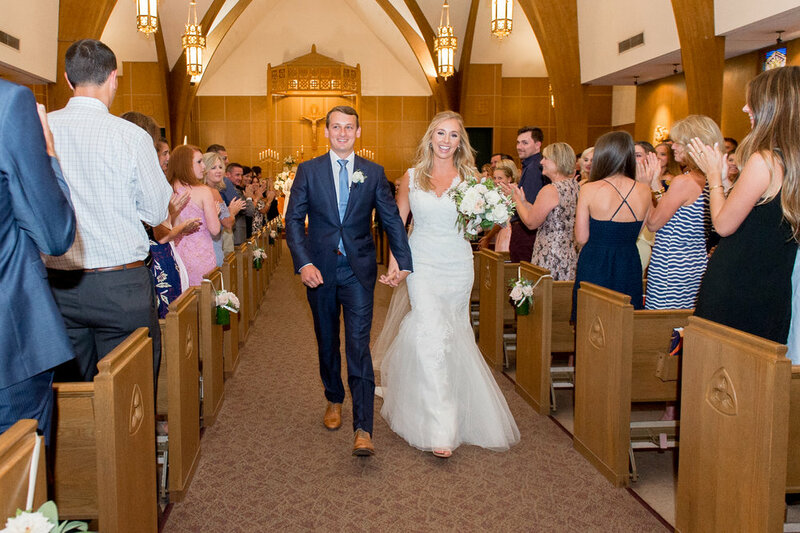 Sam and Spencer held their Catholic ceremony at Our Lady of the Lake church in Lake Oswego, Oregon. Duo Con Brio set the tone for the nuptials. Once they made it official, guests made their way out to the venue for an evening to remember. 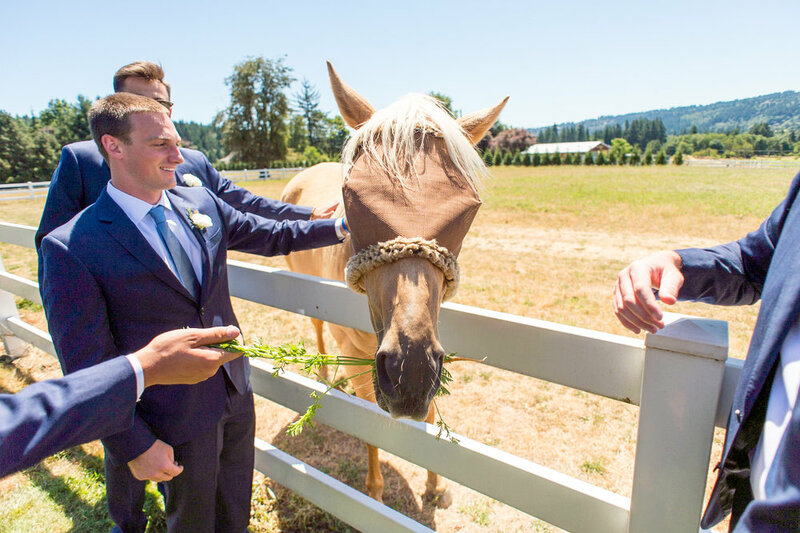 After being directed by parking attendants on horseback, guests were greeted in the lawn by Pearl Catering, with refreshing drinks and tasty appetizers, while the couple and bridal party finished up some photos with Powers Photography Studios. After mingling and playing lawn games, the party made their way into the unbelievable tent provided by West Coast Event Productions. 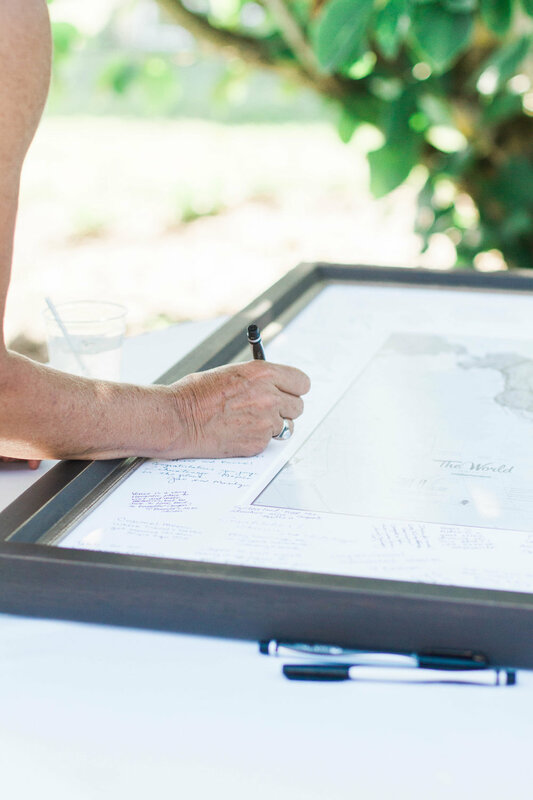 Once they found their seat on the custom table chart by Crave Design, who also provided the menus and other paper goods for the evening, they found their way through the sprawling tables, rich with fresh florals from Blum Floral Design. After a fabulous plated meal, several members of friends and family treated the group to a line up of unforgettable speeches and toasts. Who could forget the cake? Dream Cakes really outdid itself with this gorgeous treat. We moved everyone into the historic barn for the rest of the party. NW Mobile DJ’s were there to keep people moving, but if you needed a break, there was the ever so adorable Hammie the Photo Booth outside to capture the evening. Don’t worry everyone, Focal Point Media got it all on film too! Sam and Spencer, It was such a pleasure getting to work with you and your families to help make this day happen for you!! I hope your marriage is as happy and fun as that perfect wedding was! This was such a magical, colorful, beautiful day to be a part of! I always love a cultural ceremony, and in this case, I got to see two. 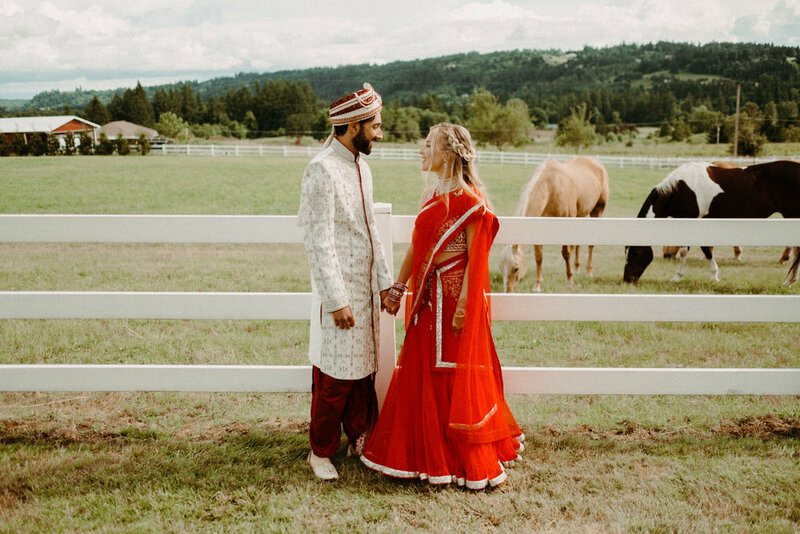 Jedel & Salil chose to hold their dual celebration at the gorgeous Barn Kestrel in West Linn. Dylan Howell was on hand throughout the entire day to capture every exciting moment. After being pampered by the talented artists at Blossom & Beauty, Jedel and the girls headed over to prepare for the Hindu ceremony. The beginning of these elaborate rituals is a Baraat, where the groom is escorted by his entire family to present himself to the bride’s family. We had Pedicabs on hand to bring the groom down in style. We then moved our way into the gorgeous tent provided by Peter Corvallis, for the catholic ceremony. 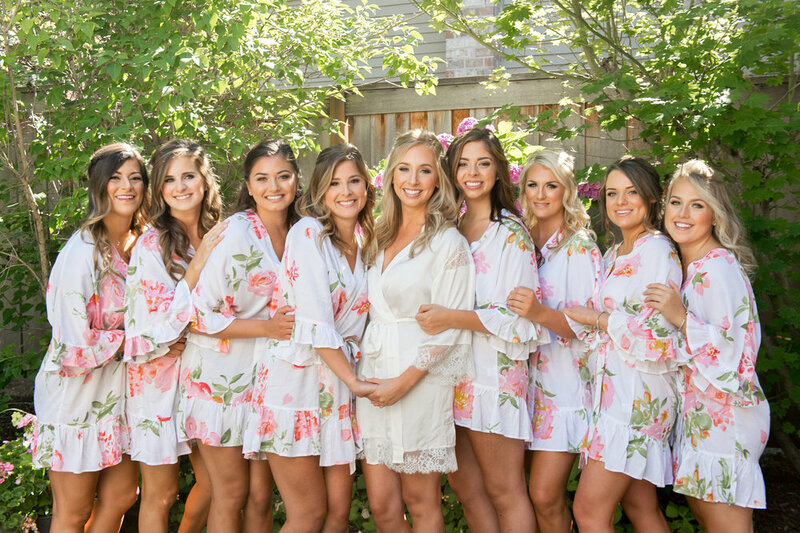 The bride and her bridesmaids carried stunning bouquets created by New Seasons Market, who also provided the flowers for the entire event. 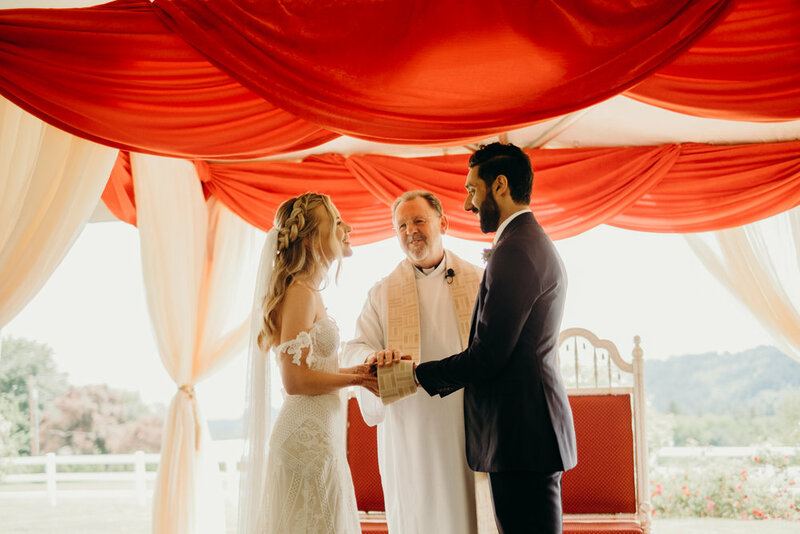 The couple were married by Father Kevin Yell, under a beautiful mandap set by Bowerbird Events. 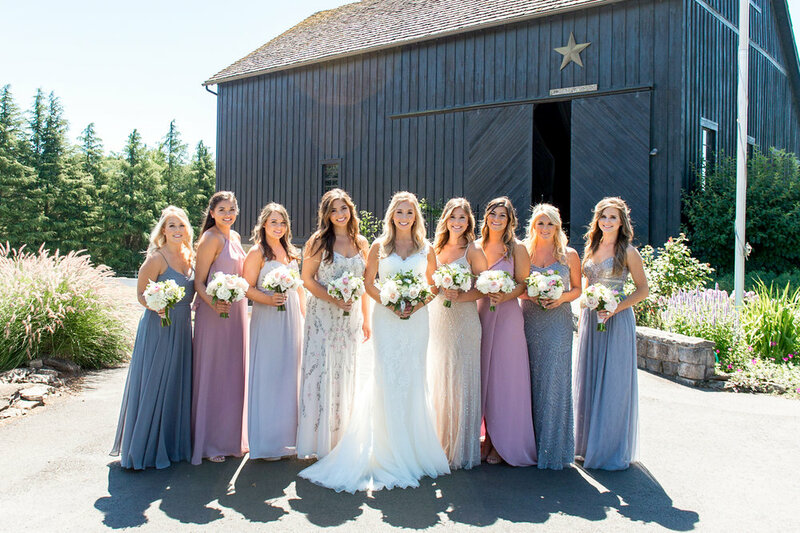 Once the ceremonies were finished, guests transitioned into the barn for cocktails provided by Heart & Honey. Vibrant Table Catering was busy to transform the tent into a beautiful reception space for dinner, provided by Swagat. After an amazing series of toasts, guests headed back into the barn. They were treated to an amazing coconut/cardamom cake made by Papa Haydn. Then, the party was ready to start! Precious Byrd came up from Bend, OR. to treat guests to a an evening filled with energetic dancing. This couple was so amazing to get to know. They have so much love for one another and the families that they’ve both gained. 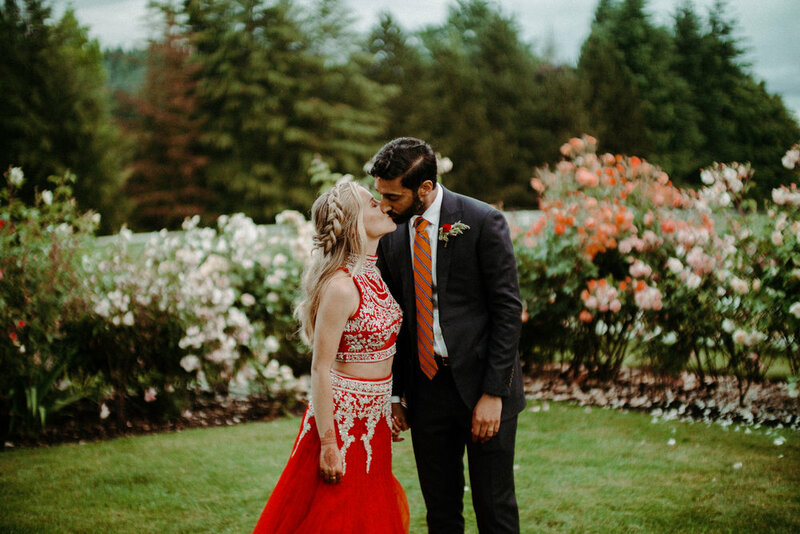 Jedel and Salil, I wish you nothing but a lifetime of happiness together!